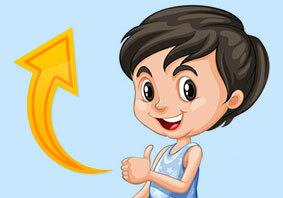 « Is Your Irritable Child Really Bipolar? As a parent, I’ve had my share of dealing with rowdy kids during holiday dinners, which are certainly fast approaching. Like most parents, I find myself stressed out in situations like this too especially when my kids run all over the place or play hide-and-seek under the table as you slice through the turkey. While kids are just being kids when they act like this, there are a number of things you can do to avoid stress during holiday dinners when dealing with misbehaving children. Meri Wallace shares some ways of dealing with rowdy kids during holiday dinners in an article for Psychology Today. Preparation is key in this matter, according to Wallace. You need to be prepared with stuff like toys, coloring books or drawing materials that will keep your child occupied as you enjoy the holidays with your fellow grownups. These will certainly go a long way in making him or her sit still a bit longer than usual. Preparing your child is also important. 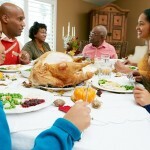 Coach him or her on how to behave during the holiday dinner. If you’re in the habit of fighting or even threatening your child with certain consequences when they misbehave, perhaps you need to change gears and become his or her ally instead. Wallace says it is best to tune in to your child’s needs, and see what you can do to relieve their being bored, tired or hungry during the family get-together. Another approach that Wallace advocates is involving your child in the meal. As we all know, kids like to role play as grown-ups, so give them a grown-up role in the dinner, such as placing mats on the table or even helping you prepare the food itself. Getting them to sing or perform would be even better. If you think your child will be more misbehaved than usual, Wallace recommends that you talk to your family before the dinner ahead of time to take the pressure off you. When the child starts acting up, it’s better to take the child into another room so you can talk about the situation. Most importantly, we all need to manage our expectation about our children’s behavior. We want them to sit still and behave, but, as already mentioned above kids will always be kids and sitting still for a longer period of time would be a struggle for them. Just take comfort in the fact that as they grow older, their ability to sit still during holiday dinners will increase. After all, we all have certainly managed to do that, haven’t we? This entry was posted on Wednesday, November 20th, 2013 at 7:04 pm	and is filed under Commentary. You can follow any responses to this entry through the RSS 2.0 feed. You can skip to the end and leave a response. Pinging is currently not allowed.